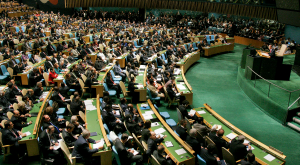 Established in 1945 under the Charter of the United Nations, the UN General Assembly occupies a central position as the chief deliberative, policymaking and representative organ of the United Nations. Comprising all 192 Members of the United Nations, it provides a unique forum for multilateral discussion of the full spectrum of international issues covered by the Charter. It also plays a significant role in the process of standard-setting and the codification of international law. The Assembly meets in regular session intensively from September to December each year, and thereafter as required. Please visit the UN Documents website which covers all types of official United Nations documentation, beginning in 1993. Older UN documents are, however, added to the system on a daily basis. 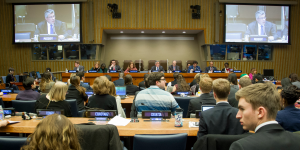 The Official United Nations documentation (ODS) also provides access to the resolutions of the General Assembly, Security Council, Economic and Social Council and the Trusteeship Council from 1946 onwards.